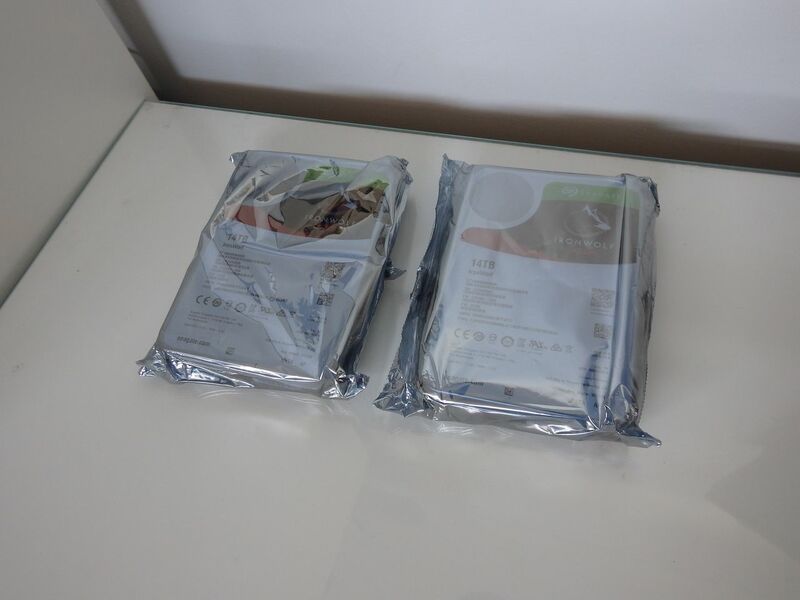 About a month ago a pair of Seagate 14TB IronWolf NAS drives arrived at the office for review. As a keen NAS user I had high hopes for these drives and it’s fair to say that Seagate hit the mark – read on to understand why you should consider an IronWolf in your next NAS or file server. My data is important to me – It’s all about ME because when it comes to data, it’s personal. My tax records, my business files, my family photos and movies, my backups, my receipts and warranties. I don’t necessarily want my entire private digital footprint on something like Google Drive or OneDrive so I need to consolidate it locally which means I have to put my trust in a hard drive – the biggest question is what manufacturer to choose with my digital life? With so many devices and higher resolution media being captured by both our phones and cameras, safe central storage is now a necessity in every home. The easiest way to do this is with a Network Attached Storage device or “NAS”. This usually involves buying either an all-in-one box that comes with hard drives pre-installed or in the form of two separate purchases – the NAS enclosure (eg. 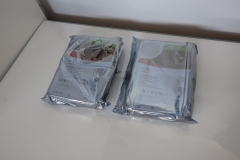 Synology Disk Station) and some hard drives of the right capacity. If you’re serious about the safety of your data the latter option is the better way to go as it means you can choose the best of breed components. Hard drive selection is important when building a NAS – unlike a typical PC or USB hard drive, a NAS is designed to be always on so it’s essential that you use drives designed to use less power, have low vibration and produce low levels of heat. The IronWolf NAS series from Seagate was designed for exactly this purpose – bulk storage in a NAS environment. It’s a 14TB 7,200RPM 3.5″ hard drive with 256MB of cache and a SATA 3 interface. 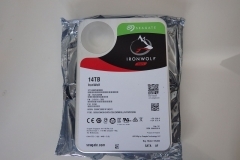 The IronWolf 14TB drives are rated with a duty cycle of 180TB per year which is a lot of reads and writes – even for heavy streamers and prolific content creators. Rotational Vibration Sensors: when you have several drives in an enclosure, they can vibrate as the drives read/write together. The more drives you have, the more likely Rotational Vibration is to interfere with performance and contribute to errors or delays/timeouts in read/write activities. The Rotational Vibration sensors on Seagate IronWolf NAS drives detect these vibrations and adjust the behaviour of the drive to avoid performance issues. Advanced power management balance responsiveness and performance – specifically in a NAS environment: this keeps the drives cooler, reduces power consumption and minimises the normal wear and tear on the drive itself. Major NAS manufacturers have implemented IronWolf Health Management (IHM) functionality into certain recent NAS enclosures so that the drives can be more closely monitored to report any issues earlier than standard S.M.A.R.T checks. Early detection of an issue with a NAS drive gives owners a chance to shut down the appliance reducing further load/degradation, organise a replacement drive under RMA/warranty and then replace the drive – assuming that the array was configured in a redundant way. If drive redundancy isn’t in place, IHM gives owners a better chance of backing up their data than other drives without this kind of monitoring technology. I tested two 14TB IronWolf NAS hard drives on our ASUS STRIX test bench first to benchmark the performance and undertake some sustained file transfers before installing them in a Synology Disk Station DS218+ in a mirrored RAID 1 configuration that offers full redundancy. 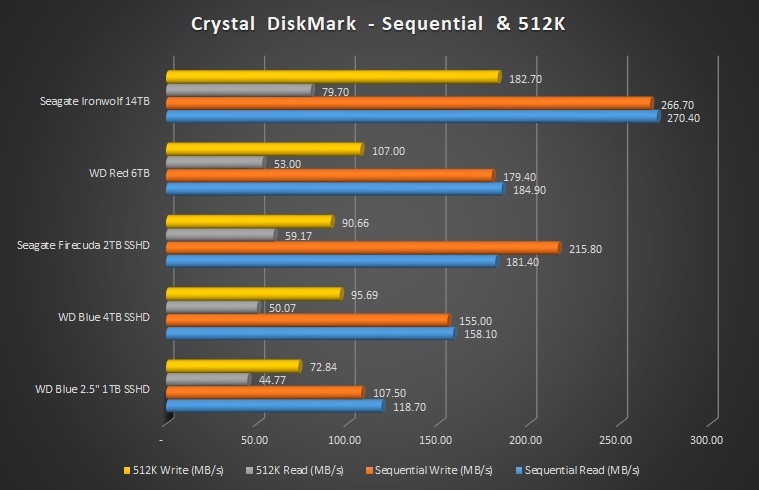 The benchmark results were very encouraging with the 14TB Seagate IronWolf NAS drive topping the charts. 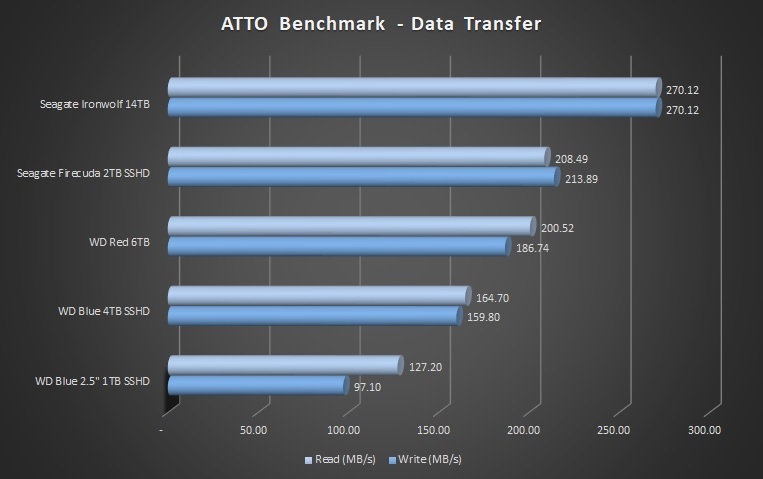 The ATTO tests showed a maximum read/write test result of 270.12MB/s for both reading and writing. This was the median test result of 3 runs and happened to be the exact same figure. It was significantly faster than the 6TB WD Red drive and the 2TB Firecuda SSHDD (with 8GB of NAND). 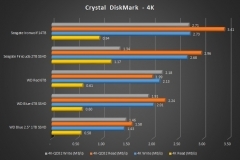 The Crystal Disk Mark tests also had the IronWolf leading the chart in sequential read/write and 512K read/write performance by a significant margin. 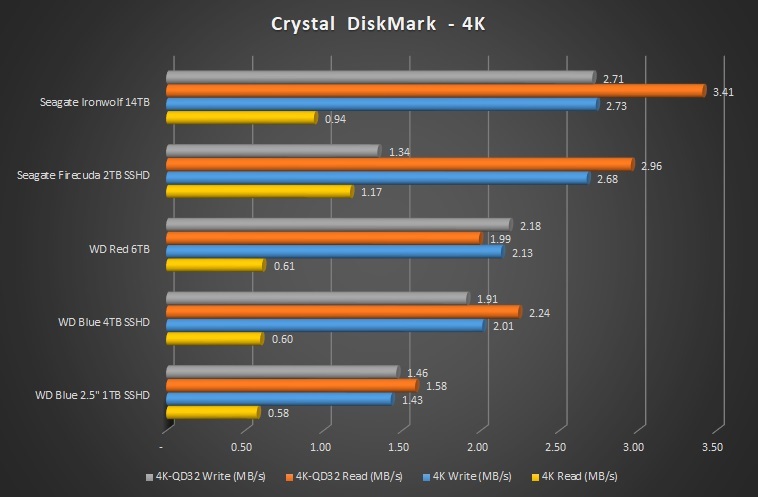 The gap narrowed as the results became tighter overall in the 4K and 4KQD32 random read/write testing. The specifications have a rating of ~210MB/s read write speeds but in some real world testing where we moved a mixed directory of 60GB we saw typical speeds around 235-250MB/s. Note that the sustained transfer rate will vary depending on the size of the files and their location on the drive. If the data was written at once as a large file such as a 5GB video file from a transcode then it should transfer faster than 5GB of smaller files such as an image library built over time. The NAS has been used in a production environment streaming media, holding photos and getting hit several times a day with transfers and syncing devices. The Synology Disk Station also keeps a local sync of our Google Drive and Microsoft OneDrive contents so it’s been busy. After a month of use in this capacity as a home/office NAS, the IronWolf drives have remained quiet with no vibration or resonance and the NAS enclosure has not had any thermal issues either with the drives operating between 34 and 44C depending on the sustained workload and ambient room temperature. The IronWolf NAS drives are available in capacities from 1TB to 14TB to suit all consumers with variable needs. 14 TB is aimed at serious power-users or businesses. If you have a 4K video camera, take footage on an action camera or drone, professional photographs or streaming content then you will know how quickly you can chew through hard drive space. Larger capacity drives like the 14TB IronWolf are also worth considering if you are trying to save money with a smaller dual bay enclosure. Dual bay NAS enclosures are cheaper than 4, 5 or 8-bay alternatives but you sacrifice capacity and room to expand the array. When you use a pair of 14TB iron wolf drives, the outlay isn’t cheap but the capacity and functionality should meet the needs of most people for at least the warranty period of the drives – the point at which you should be looking to upgrade anyway. 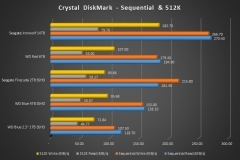 How Credible is Seagate as a manufacturer? The majority of my sample size is made up of ex-enterprise 750GB Seagate Barracuda 7200RPM drives – 18 of them in total. 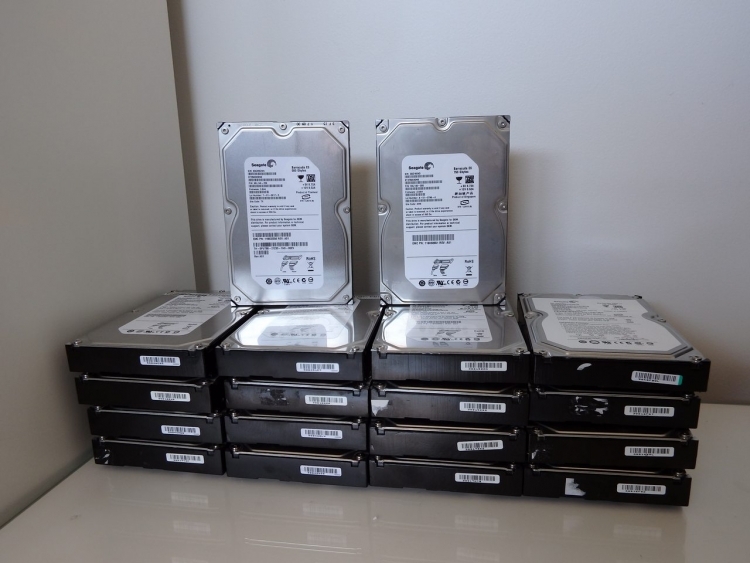 I grabbed them all from shelves, drawers and other hidey holes around the office then tested them all with Seagate’s Seatools utility to see how much running time they had and also if there were any errors on the drives using a quick scan. In the tables below I’ve listed the running time in hours, days and years of these 750GB Barracuda drives. In summary the old NAS drives tested as error free with an average of almost 4.5 years of 24×7 running time. Given the age, capacity and running time of these older drives, I’m reluctant to use them for anything important but it goes to show why I trust Seagate as a hard drive manufacturer. Whilst I’d trust a Seagate drive with my personal data, I’d always use redundant or mirrored storage and keep backups. Not one or the other, BOTH. It is hard to go past the Seagate IronWolf NAS drives for storing your data. They are competitively priced, deliver fast speeds and are available in a range of capacities to suit your needs and budget. Speaking of capacities, the 14TB Ironwolf and Ironwolf PRO NAS drives are the only 14TB capacity drives available at the moment. 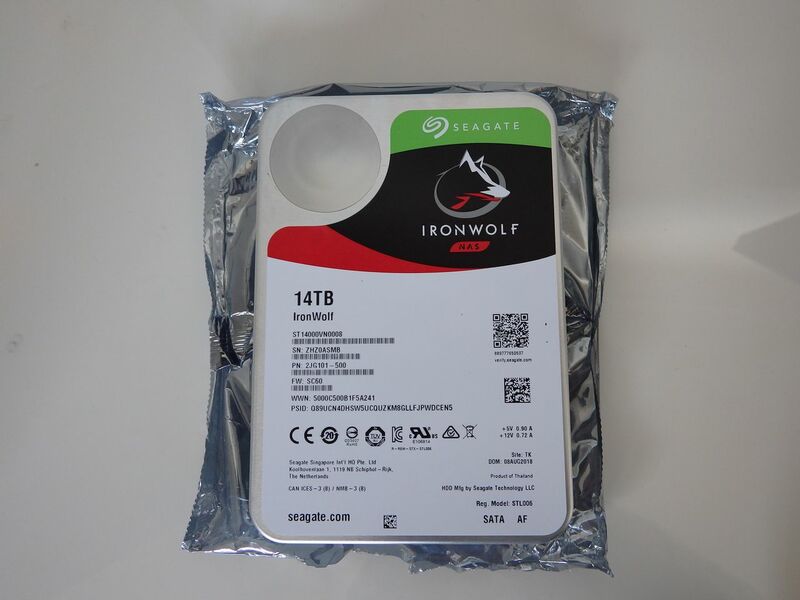 Seagate’s IronWolf drives are priced on par or cheaper than alternative products (where a direct capacity comparison can be made). The $799 street price seems hefty but that works out to be $57 per TB of storage. As a comparison, the 10TB Ironwolf NAS drive works out to be $47 per TB at $469. 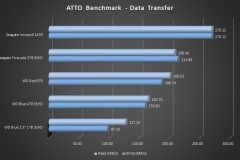 There is almost a 20% premium per TB to have an additional 40% storage capacity in the same 3.5″ form factor. This could mean you don’t need as many drive bays in your NAS which could allow you to buy a cheaper, smaller enclosure. The Seagate brand has credibility in both consumer and enterprise sectors with continued investment in high capacity storage technology. We’ll keep you posted on how our Synology 218+ NAS goes with its dual 14TB IronWolf drives in a mirrored RAID 1 configuration. Going IronWolf for mass central storage is an easy call for me. Would you like o donate one thanks?